Woman accused of violating fire safety requirements. 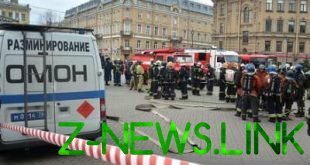 Arrested the General Director of the company-the owner of the building of the burnt down shopping centre “Winter cherry” in Kemerovo Yulia Bogdanova. “Detained today by the General Director of JSC “kemerovskijj konditerskijj Kombinat” Yulia Bogdanova. This enterprise belonged to the trade center building, which on March 25 was a fire that caused human victims”, — stated in the message. The investigation established that Bogdanov, being responsible for observance of fire safety, has repeatedly received notice from his subordinates about the shortcomings of the system of fire safety. While it is, doing just lease new retail space, has not taken any measures to rectify the shortcomings. It is reported that investigators conducted a search in the house of Bogdanova. Soon she will be indicted on the grounds of crime under part 3 of article 219 of the criminal code (violation of requirements of fire security, entailed death of two and more persons).